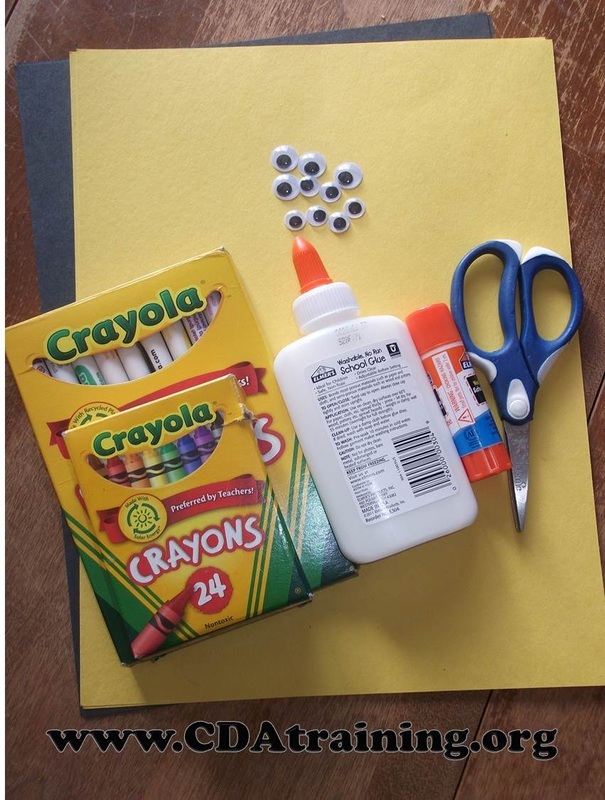 Supplies Needed; Wiggly eyes, markers or crayons, glue, scissors, a large hole punch, and construction paper. 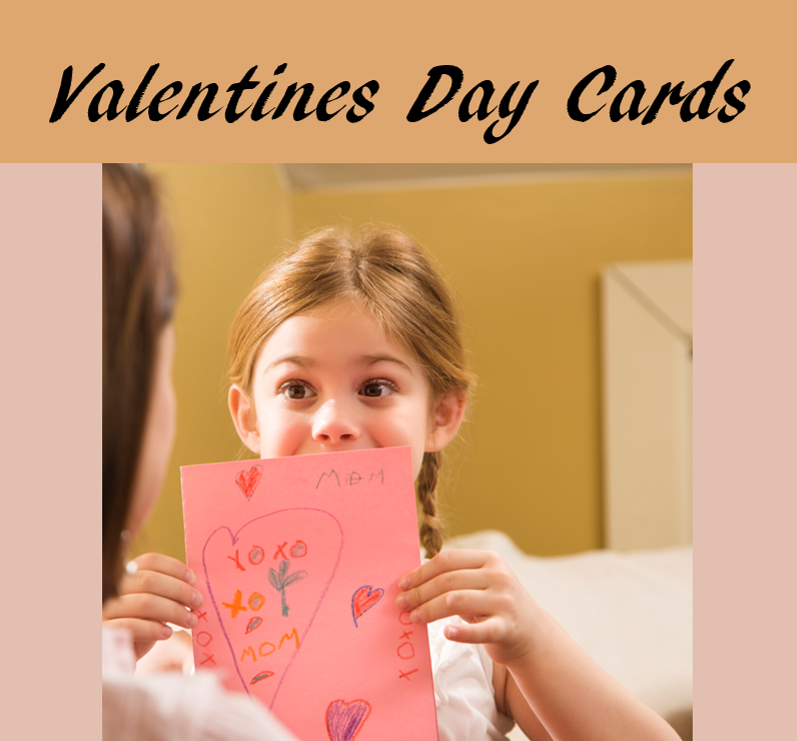 Cut construction paper to desired size for card. Punch a hole in the middle (or off center) of the card. 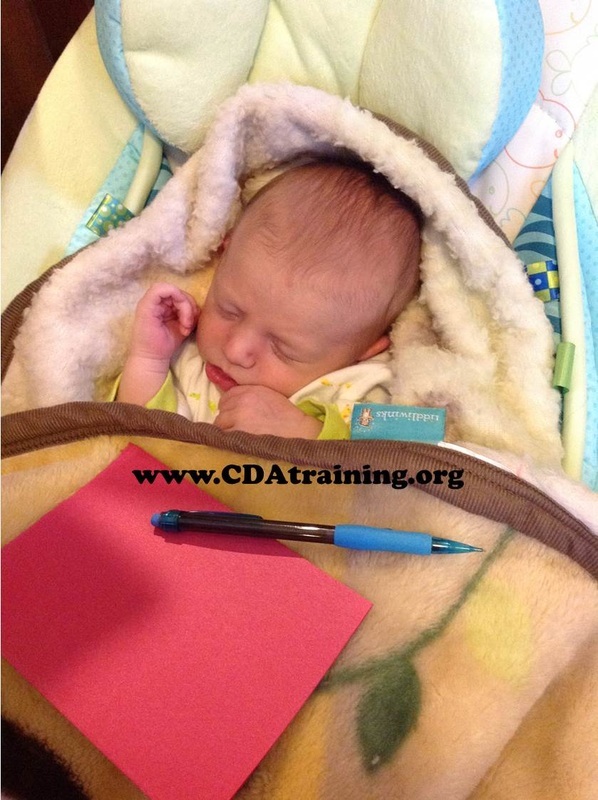 Write on the front of the card, you can use one of the examples (seen above) or you can make up your own. Inside the card, glue on the wiggly eye, so that it appears to be looking out of the punched hole. On the inside of the card, draw a monster or creature around the wiggly eye. 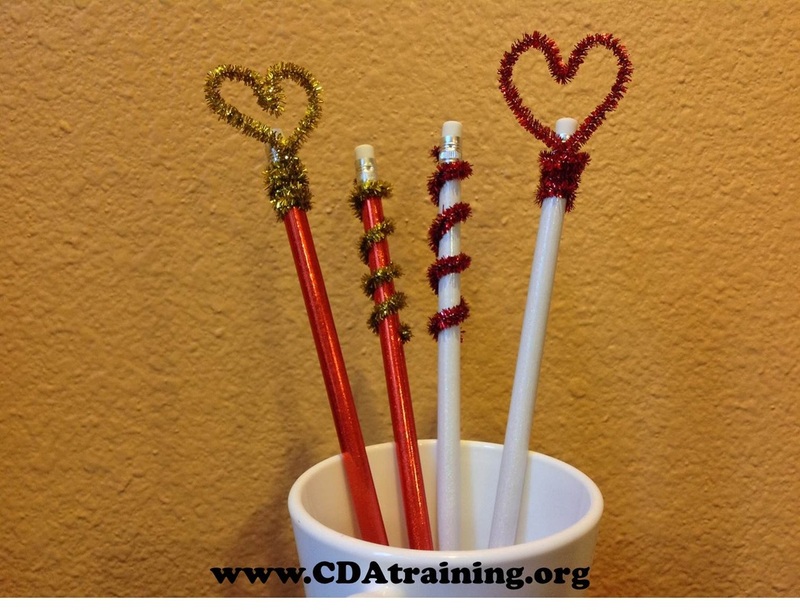 Twist pipe cleaners to make cute pencil toppers that can be distributed to students on Valentines Day! Here is an easy one. 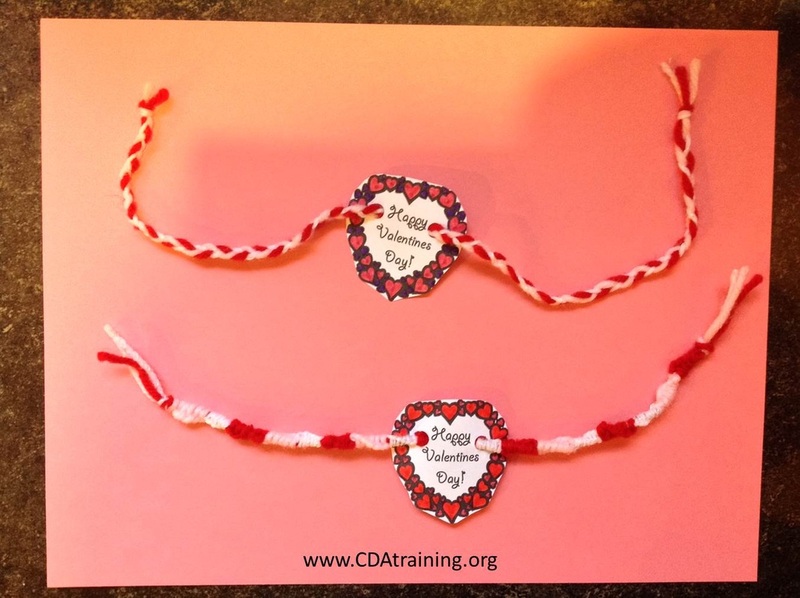 We braided yarn and made bracelets, then colored and hole punched the template (seen below), then threaded the bracelet through. Directions; Print out template (below), and cut out each game. Staple 1 bag of M&M Candy to each game. 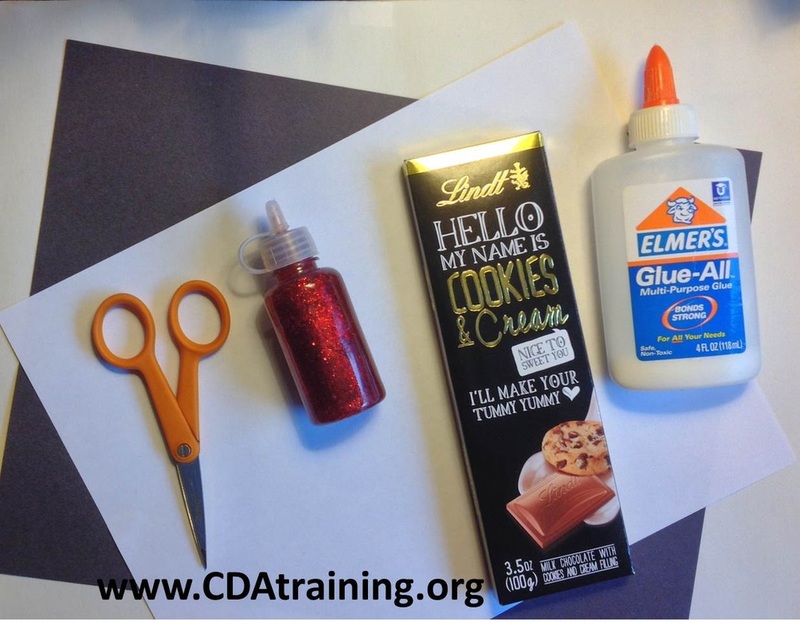 Cut a rectangle of red or black Construction paper that wraps around a chocolate bar and overlaps itself by about 1/2". Don't glue yet - set the chocolate bar aside. 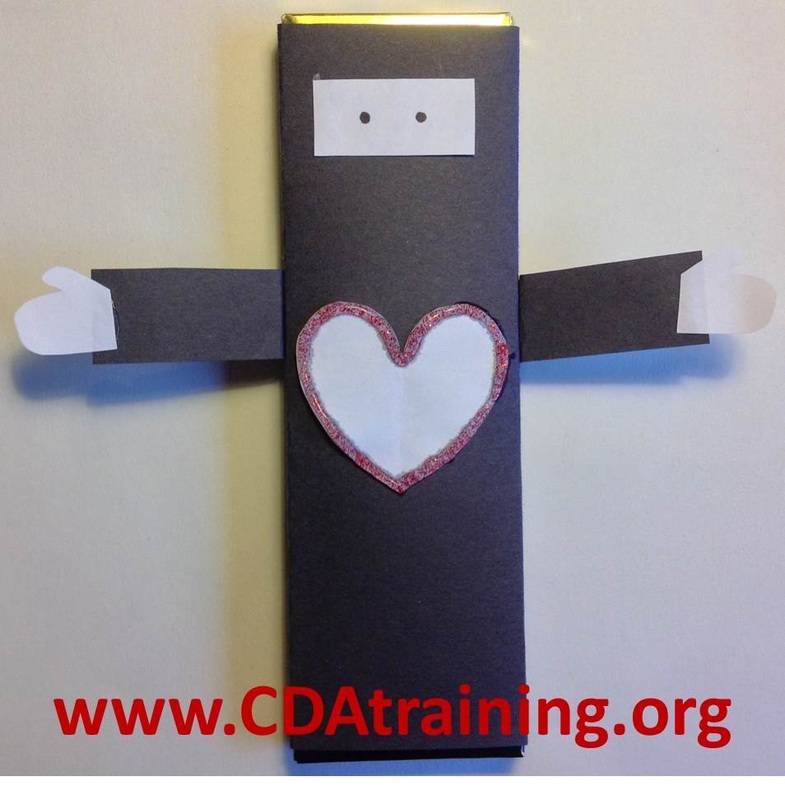 Cut out a long, skinny rectangle for the arms. 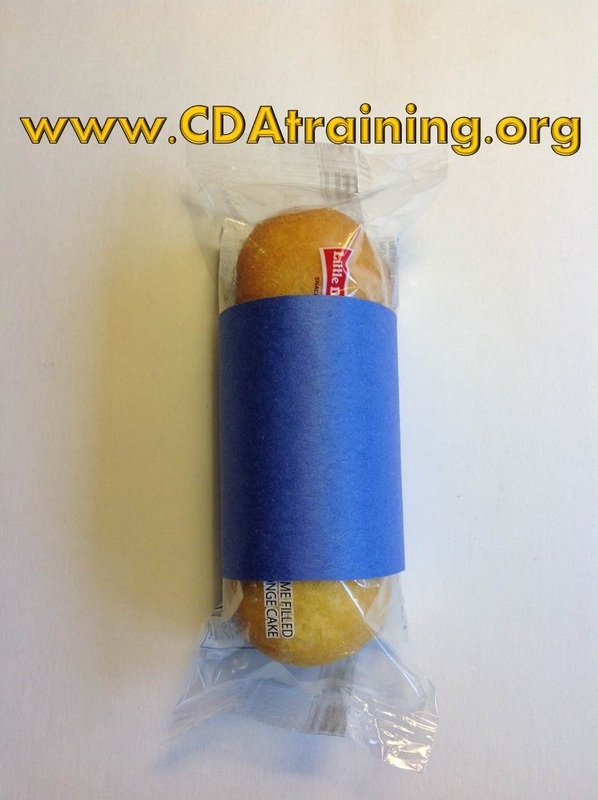 It should be about 1" shorter than the width of the wrapper you just made. Also cut out two simple hands and a rectangle for the eyes out of white Construction paper. Glue the hands to the ends of the arm piece. 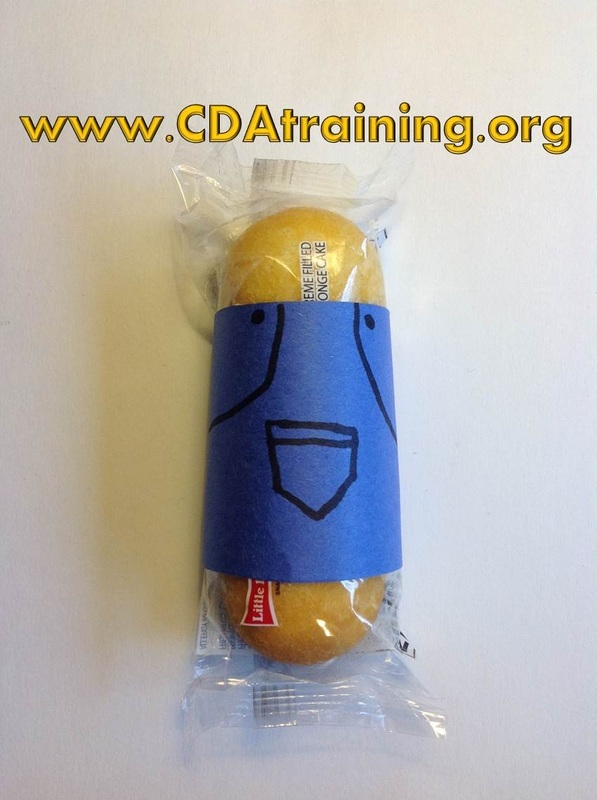 Cut a rectangle for the face out of the wrapper, then glue the small white rectangle behind the hole. 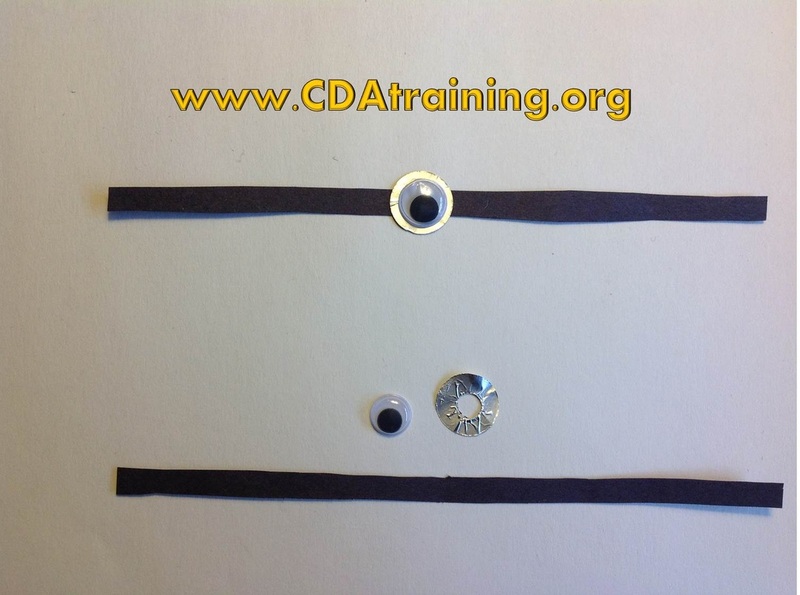 Make two dots for eyes with the black marker or glue on wiggly eyes. Wrap the chocolate bar with the face/body wrapper and glue it shut. Glue the arms to the back so they stick out of the sides. 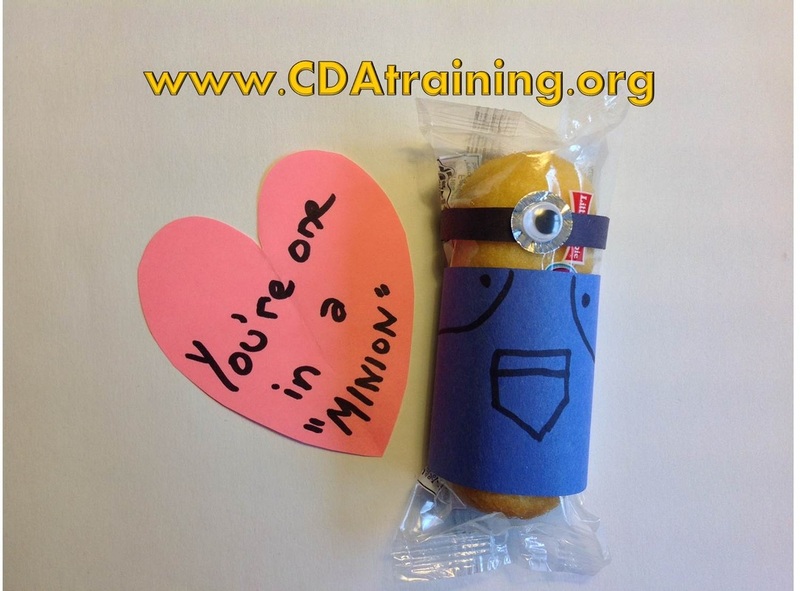 Add a heart to the ninja's chest and adorn with glitter glue. Directions; Print out template. 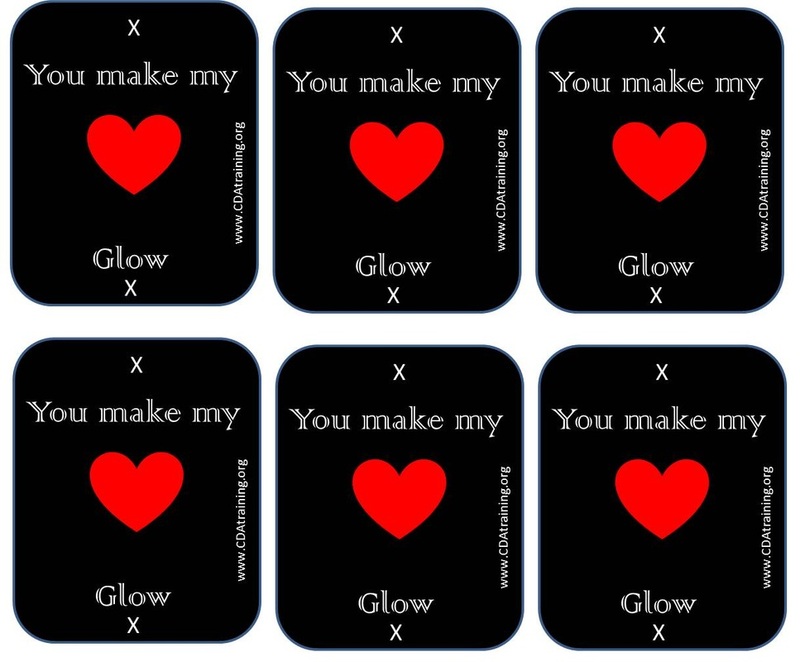 Cut out each individual card. 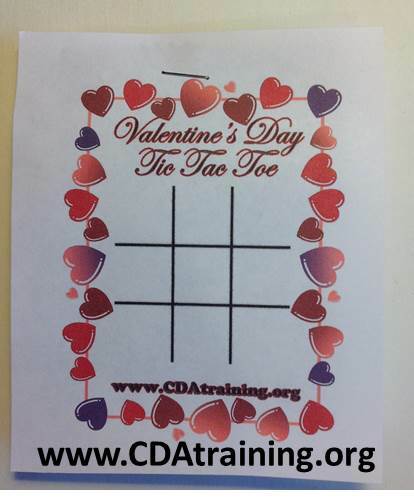 Use hole punch to place 2 holes over the "X" at top and bottom. Thread glow stick through holes. 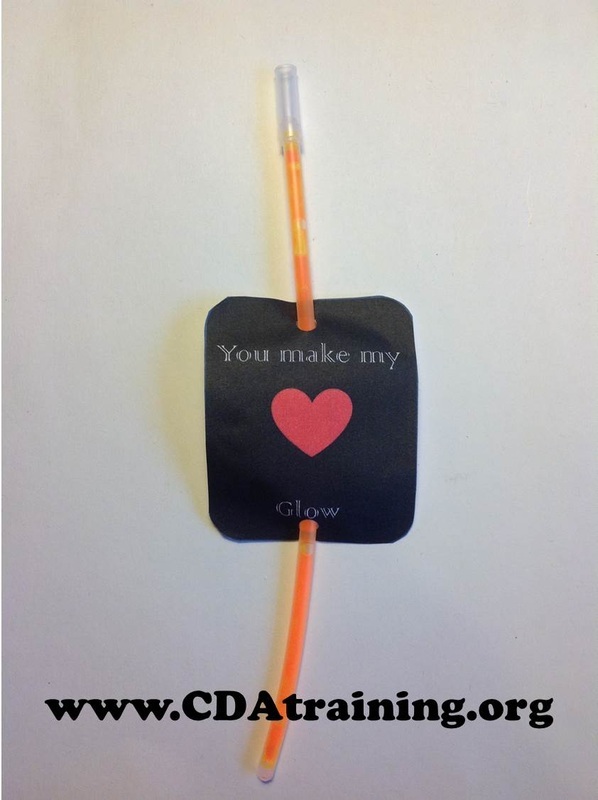 Supplies Needed; Cellophane, cookies, pipe cleaner, print out of template (below), scissors, and a hole punch. 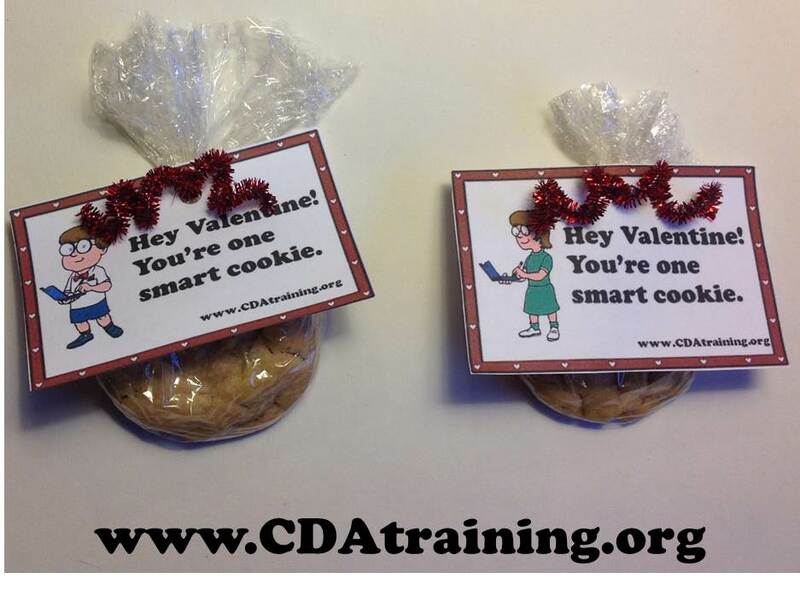 Directions, place cookies in cellophane and use pipe cleaner to cinch at top. 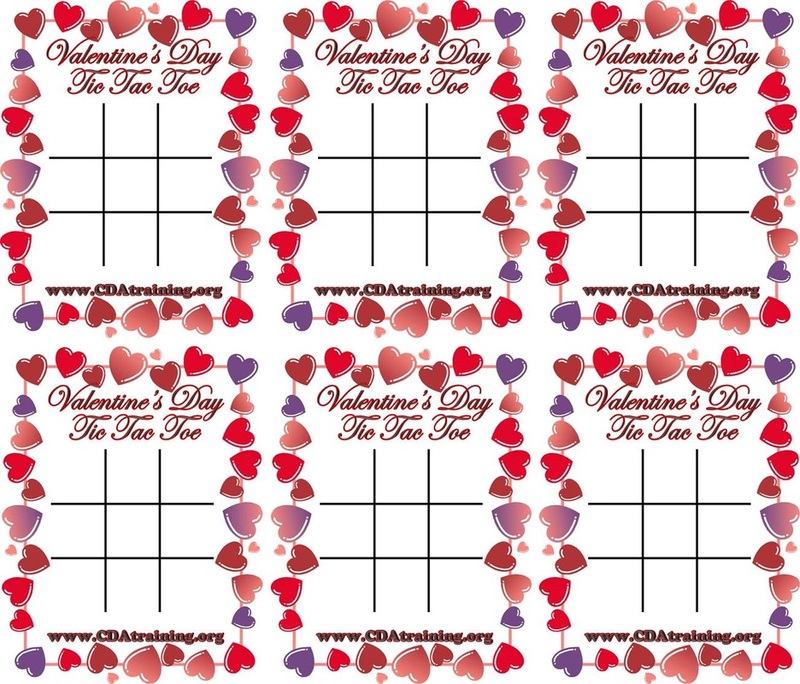 Cut out templates, use a hole punch to puncture a hole at the top center. Thread pipe cleaner ends through hole. 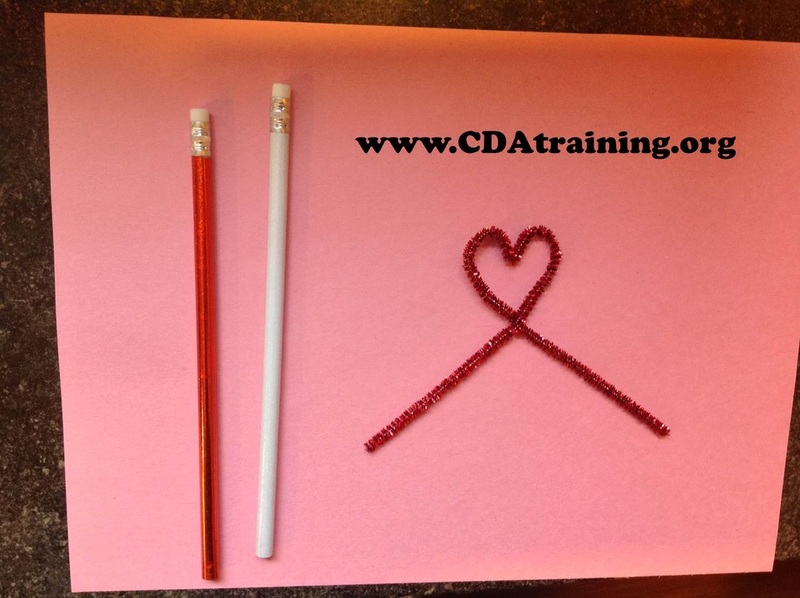 Twirl or tie off pipe cleaner to endure that template does not fall off. 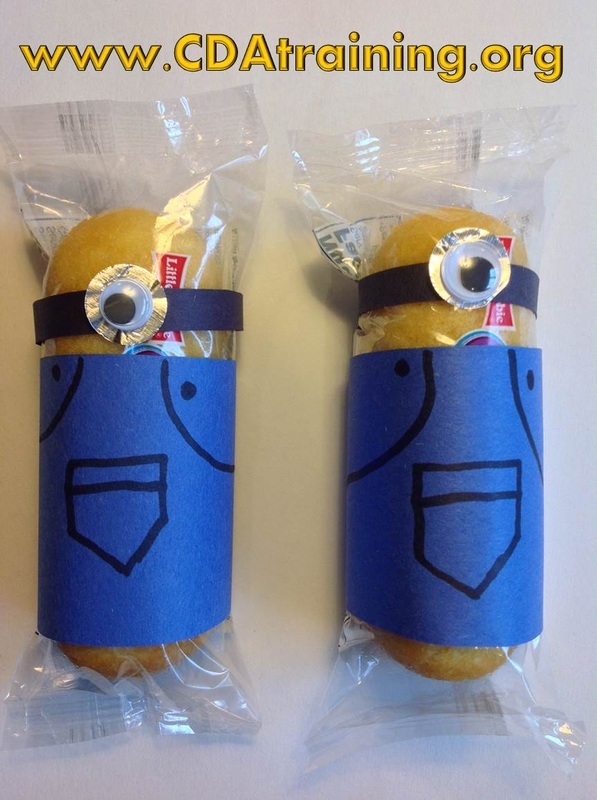 Cut a rectangle out of blue paper and wrap it around the bottom of the twinkies to make the minion's overalls. Then cut a black strip of paper and glue it on the top to resemble their goggles. Stamp out circles of tin foil and tape them to the black strip. Next add some big wiggly eyes and decorate the overalls. Directions: Trace and cut out 4 yellow hearts and 2 black hearts of the same size. Trace and cut out several small black hearts and 2 black antennas. To create the bee body glue together in order slightly above each other yellow heart, black heart, yellow heart, and black heart. 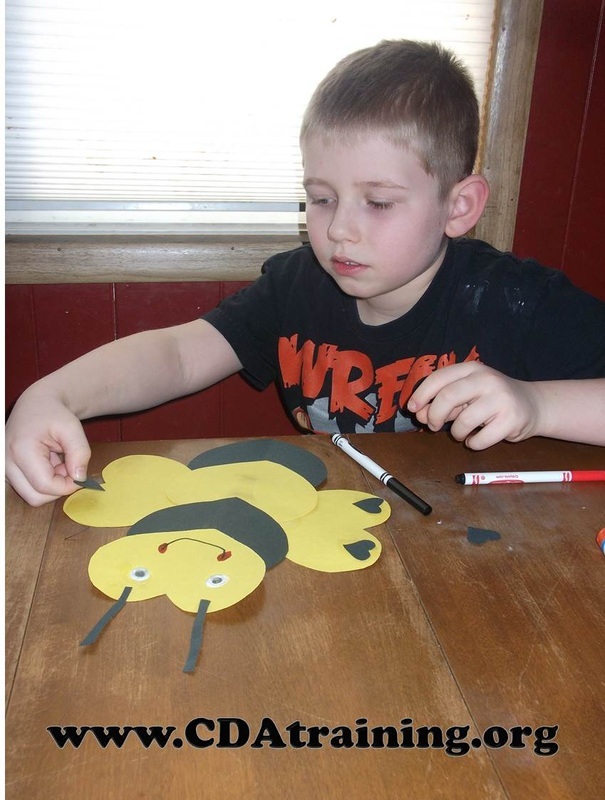 Add a yellow heart to each side with the point of the heart being glued to the back of the bee body for wings. 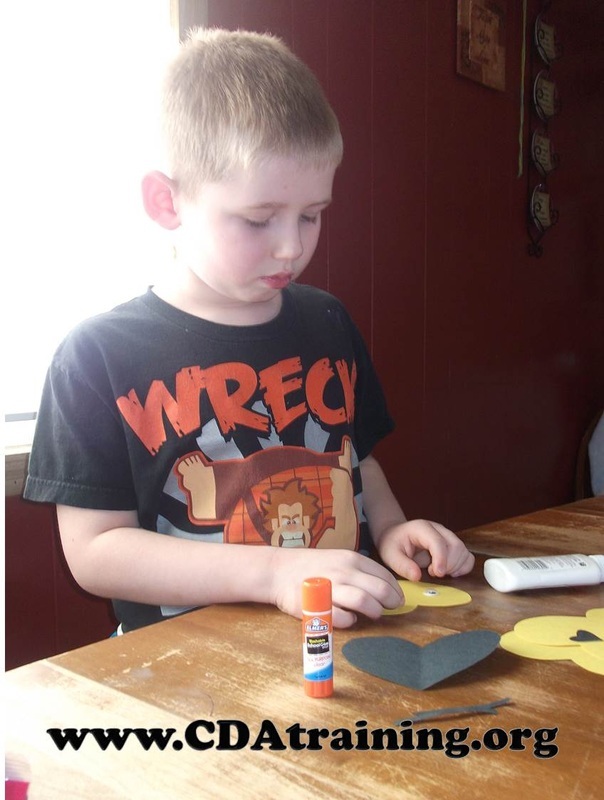 Glue a few smaller black hearts onto front of each wing. Glue antennas to the first yellow heart. Glue googley eyes to front of the first yellow heart. 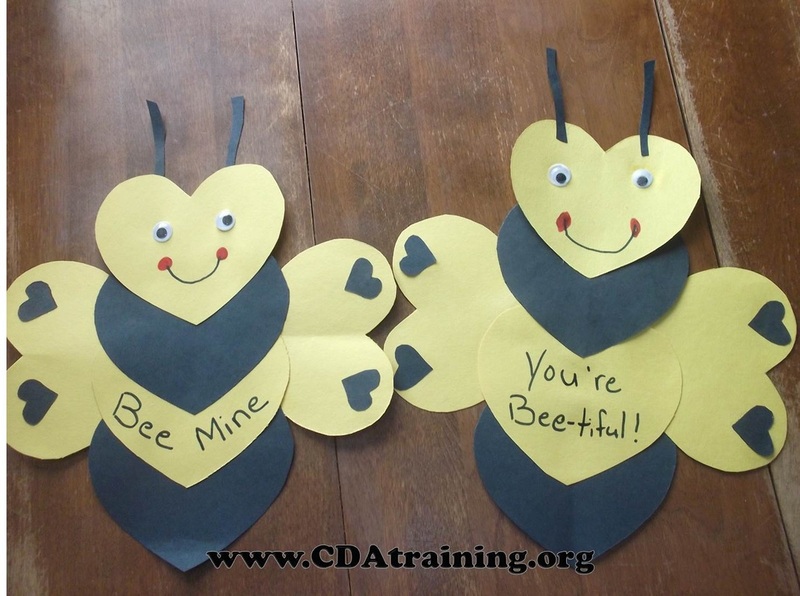 Use markers to add other details and a special “Bee” message. 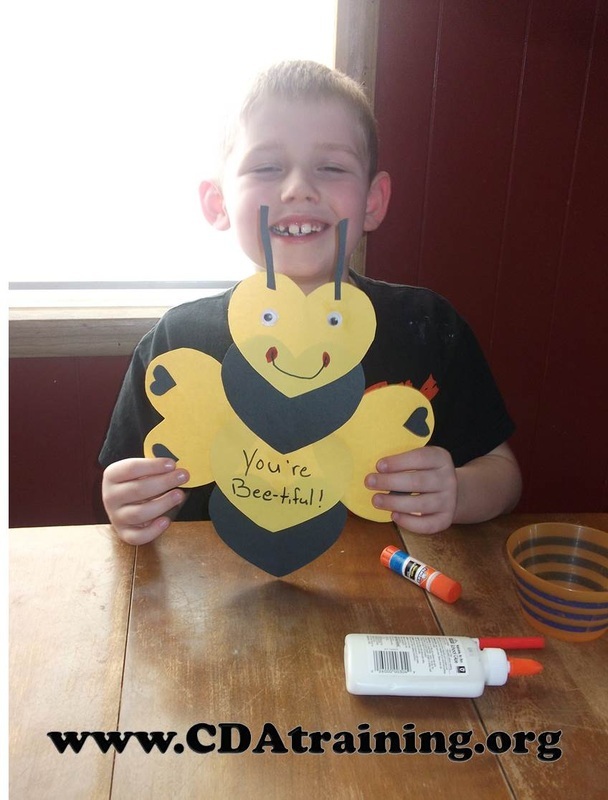 We used the messages “Bee Mine” and “You’re Bee-tiful”. 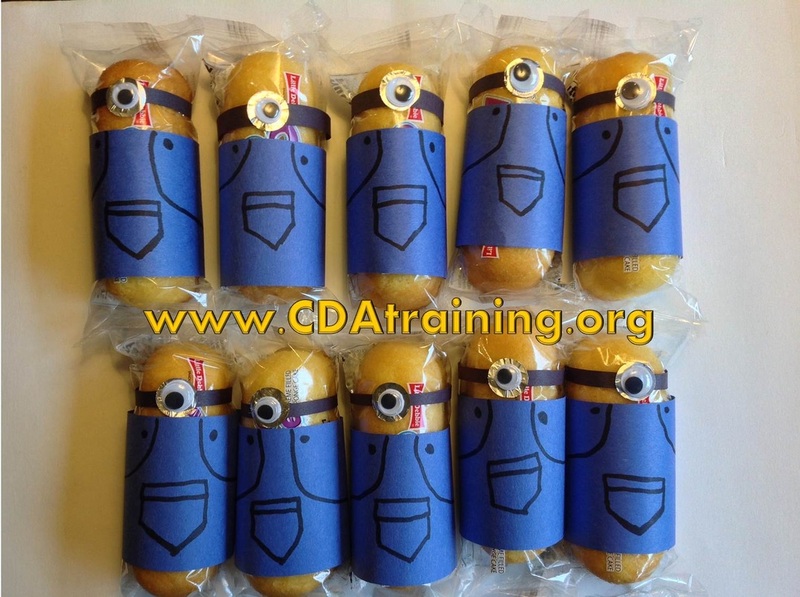 This project would be perfect for deployed military parents or family members and friends living far away. 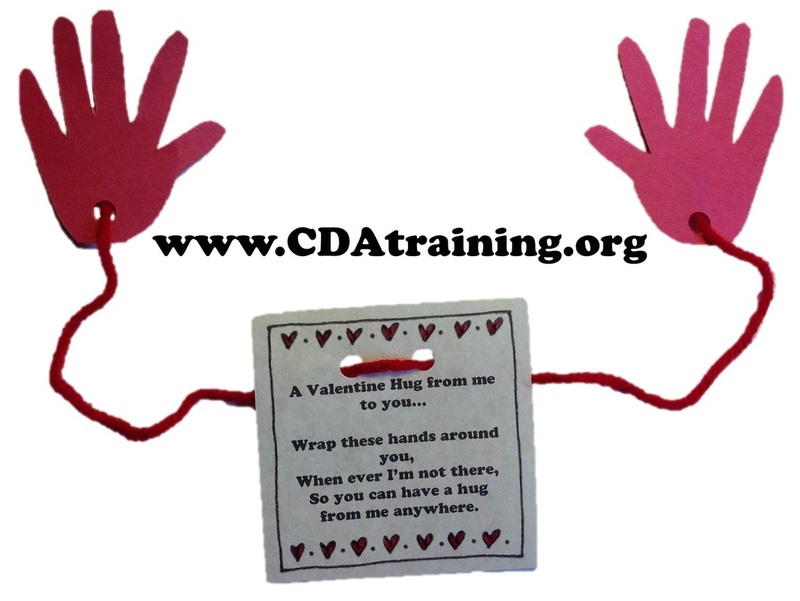 Supplies Needed; Print out of template (below), red yarn, red construction paper, glue, hole punch, and scissors. 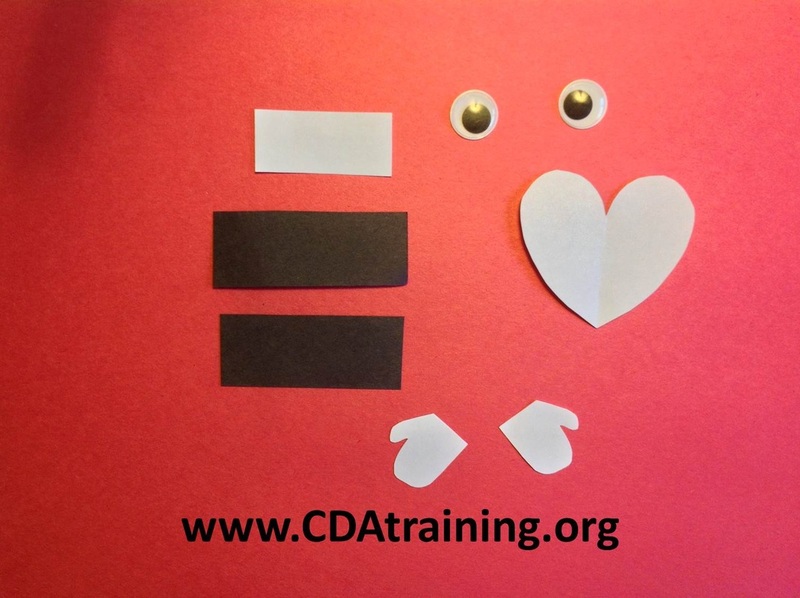 Directions; Using the red construction paper, fold it in half and trace child's hands (using a pencil). Cut out the hand outline (the fold will allow for 2 hand shapes to be made). Use your hole punch to put one hole in the palm of each hand. 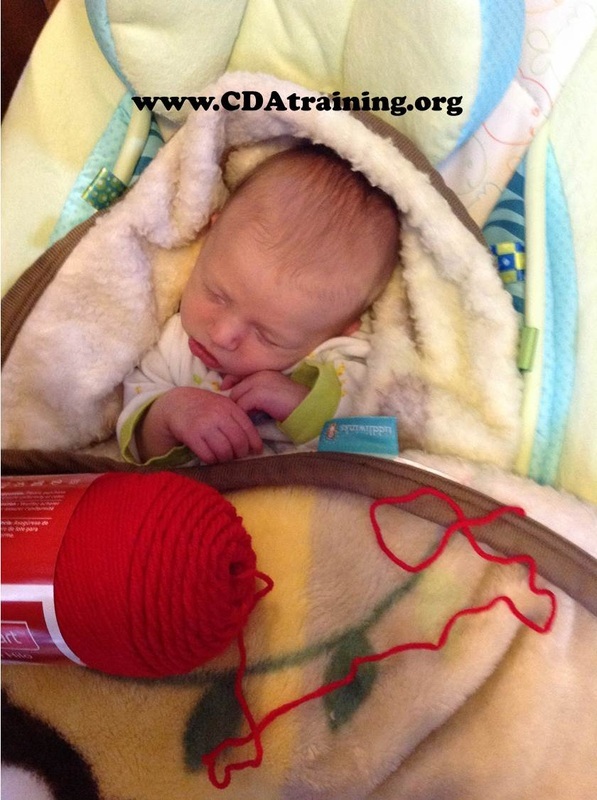 Next take the red yarn and measure the child's "wingspan" (from palm to palm, across their chest). 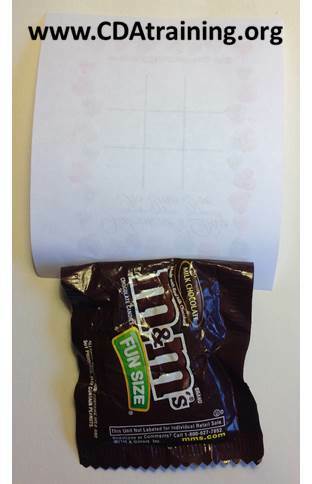 Print out the template (below) and decorate as desired, once decorated, use the hole punch to put two holes in the top of the decorated template. Now thread your "wingspan" yarn through the decorated template, and through the holes of each hand and glue ends to back of palm. Allow to dry.